Congratulations to our Star Readers! 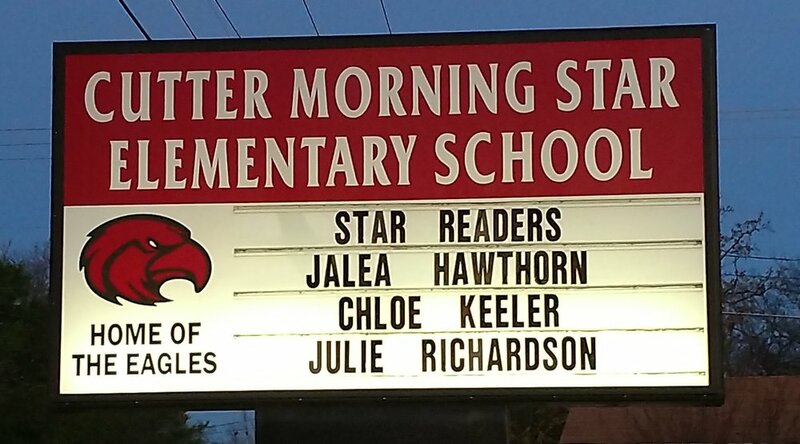 Jalea Hawthorn has reached her Star Reader goal of 300 AR points. Chloe Keeler and Julie Richardson have reached their goal of 125 AR points.